We have been truly fortunate to have met some amazing couples and clients. It means the world when we have been left love notes and are so thankful for it. We are grateful and humbled! Thank you for allowing us to assist you in your big day! 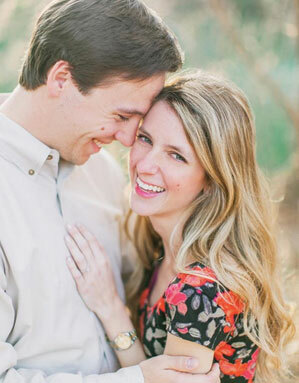 You don’t realize just how much you need a wedding planner until you meet Sarah! I had taken on a lot of the details of our wedding, and so there were quite a few moments that I had felt nothing short of overwhelmed. So when she came into the picture, it was a saving grace. From day 1, Sarah was on top of every single detail. One of the (many) things that I am so grateful to her for, is the way she was able to break down and segment different parts of the planning process for you, which created established timelines as to when things need to be completed. And for me, that was vital, as I can easily start to feel lost in the details at times. She made herself readily available for any and all questions I might have, no matter how small or silly, and she of course never made you feel that they were either. She continually touched base to get a pulse on how I felt, which shows just how much she cares for her brides and couples. Another area that she absolutely excels in, is when the actual wedding madness starts, and the coordinating of vendors, timeframes, etc begins. Which can completely detract from the moment if you’re doing it yourself. If any issue or complication had happened, we still have no idea, as she and her team were behind the scenes making everything run perfectly. We got to enjoy our wedding day stress free, without having to wonder where or when we needed to be somewhere because we knew they had us taken care of. Many people said that something will go wrong on your wedding day, but we can honestly say that it went off without a hitch. It was everything we had dreamed of and more, from the look of it, to the execution. Sarah and her team were able to listen and understand my vision and hope, and when it came to setting everything up, I couldn’t have asked for anything better. 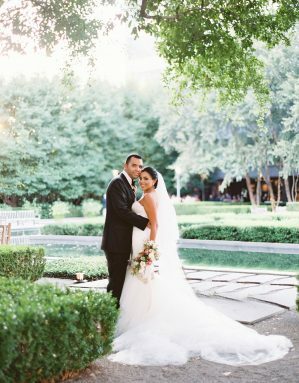 Thanks to Sarah and Keestone Events, they made the wedding planning and process practically effortless. To break that down: Keestone (specifically Kristin) was the most professional, put together, thoughtful, detail-oriented, forward-thinking wedding planner we could have ever asked for. My (now) husband and I were looking for a month-of coordinator and spoke to several wedding planners that all had great reviews. Everyone we spoke to was pleasant and loved making the wedding day as special as possible, but Keestone was about more than a beautiful wedding. Keestone was about raw logistics, planning, and foresight to a degree we appreciated more and more leading up to and ESPECIALLY on the wedding day. Kristin was the absolute perfect coordinator not because she made sure our centerpiece set up was on point (it was, she could do that in her sleep), but because she turned every possible thing that went wrong (because no matter what you do, something will go wrong) into an opportunity to make our wedding better. Her and her team were so put together that our outdoor wedding, which overlapped with intermittent rain, was actually IMPROVED by their on-the-spot decision to move our toasts and cake indoors until the rain passed. Kristin is apparently also a meteorologist because bringing everyone indoors was timed PERFECTLY, with everyone out on a dry dance floor in the garden right after speeches ended. 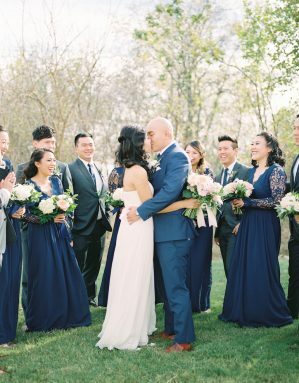 We chose Keestone because they are more than event planners; they are psychics who will foresee every possible mistake and make sure the guests, the bride, and the groom think everything went off without a hitch. And considering a relative monsoon hit 24 hours after our wedding weekend, they may also have some pact with the weather gods. Just saying. Keestone is just the best. Hands down. THANK YOU KRISTIN!!! Let me start with this – I’ve joked a number of times with my now-husband that if the two of us don’t work out, I intend to marry Sarah so she can plan out the rest of my life for me. Hahah. Sarah is incredibly detail oriented (if you’re as into spread sheets as I am, you’ll fall head over heels in love with her like I did), thoughtful, and professional. She prodded us when we needed prodding, guided us with her wealth of experience and strong intuition, and was the glue that really pulled the wedding together. 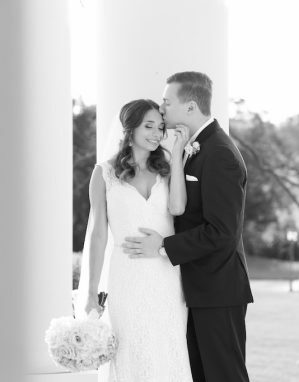 She knew all the right people in the industry, bargained hard for us when we felt things were overpriced or unreasonable, and thought of all the little details that we didn’t think of… but were the little details that make our big day truly special. In every way possible, she went above and beyond. I don’t even want to imagine what a disaster the wedding would have been without her, so all I can say is, Sarah is a KEE-per. Haha. But seriously, she is amazing. I never want to get married again (wow, that was so much more work than I imagined… and I also love my husband obviously…), but if I did, I would hire her. I was an out-of-state bride planning a wedding from afar, and interviewed several vendors for a day-of/month-of coordinator. We were looking for a coordinator that could handle a fusion wedding of two cultures – Pakistani and American. We interviewed several vendors and were really looking for the right fit. We had a great first chat with Sarah Kee, the owner of the company, and then Stephanie Brouillette. What stood out to me about Stephanie was how calm and focused she was. I also appreciated that she had some experience with South Asian weddings, and extensive experience with events. Another coordinator I spoke to had great experience but was too intense and stressed me out a bit! I really appreciated Stephanie’s calm throughout everything. Our wedding had 11 vendors, some South Asian and some not. In addition, our venue did not provide anything besides tables and chairs, so there was quite a bit to coordinate. On top of that, our guest list was around 300, and we were having an outdoor ceremony. I had a lot of fun booking vendors along the planning process, but when it came to the logistics (day-of timeline, scheduling vendors’ arrivals, arranging vendor meals, developing the room layout for how the tables would be set up etc.) I was SO glad that we’d booked Stephanie to take care of those details. 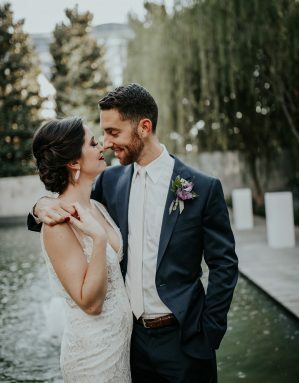 It allowed me in the last couple months (which get crazy) to focus on other details such as tracking RSVPs, packing for our out-of-state wedding and our subsequent international honeymoon, and choosing songs for entrances/first dance/etc. Stephanie asked my preference if I’d like to be cc’d on the emails when she was taking over vendor communications, and I did. I’m glad she did because then I could see all the work she was putting in. 🙂 She did a great job and every time I saw an email fly by that I was cc’d on, I was thankful that I wasn’t having to figure out those details. Throughout the planning process, I appreciated having her as an honest sounding board. 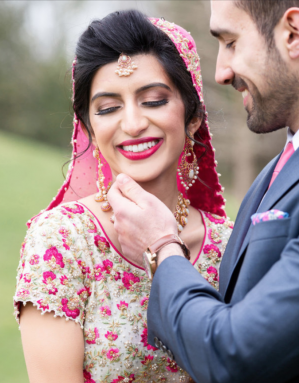 There were some things that were really tough to make a decision on since we were having a fusion wedding – and I didn’t want to offend or confuse any guests from either culture. It was great to have Stephanie’s perspective when making some of those decisions. The day of our wedding, it was COLD (hello, Texas weather). It was somewhere in the 30s-40s Fahrenheit for our outdoor ceremony. We had a tent in case of rain or super hot weather, but no one expected it to be this cold in April in Texas! My mom and Stephanie found a vendor with heat lamps, and Stephanie and her assistants were wheeling those huge lamps around. She and my mom worked so well together, and I didn’t even know the day-of until it was already taken care of. I appreciated that. She was available to talk on the phone and email when needed, and was usually several steps ahead of me and had already taken care of whatever I was going to ask her to. 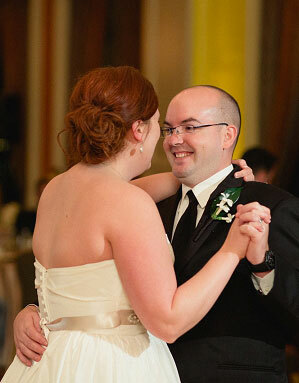 After the wedding, we received several compliments on how smooth and organized everything was. Others commented on how stress-free my mom appeared- and my mom replied that it was only possible because she was confident knowing we had great vendors and that Stephanie was running the show. We are still talking about how much fun we had at our wedding, and I really feel like myself, my groom, our bridal party, and our families both got to enjoy every minute because of Stephanie and her team! A huge THANK YOU to Stephanie, and her assistants – Emily and Britney. 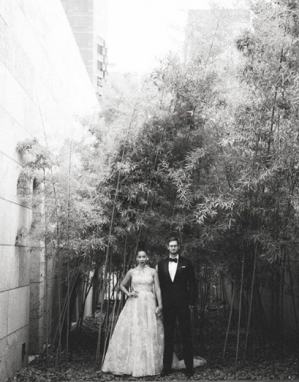 Thank you Sarah Kee for being an incredible wedding planner who brought our dream wedding to life at the Perot Museum! 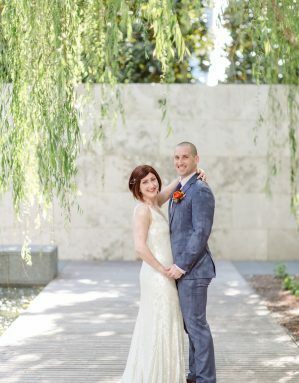 My now-husband I are based in CA and planning a wedding in Dallas, with friends and family who came in (and chimed in with ideas) from around the world. We had a lot of different ideas about what we wanted, and Sarah helped us focus into creating a gorgeous vision, recommended excellent vendors all the way, took care of a multitude of issues big and small that popped up (including some tense personal situations that would have frazzled any other wedding planner), and make the busy wedding day flow seamlessly and stresslessly for my husband and me. She did it all in such a calm, collected, and confident way, with always a smile and solution. She has great taste, impeccable Google doc organizational skills, and perfect timing. I cannot recommend her enough! Hiring Keestone events was maybe the best decision we made for our wedding!!! When we met with Sarah (the owner) we were uncertain how much help we wanted and she made it so easy to pick and choose and totally customize the planning options. We decided we wanted a month of coordinator and that was Kristin! She was truly our wedding angel! Kristin took care of everything we never would have thought of. My husband and I seriously can’t say enough good things about Keestone. They made our wedding go off without a hitch. Literally nothing went wrong because they were so prepared! They made sure we ate & had drinks in hand, they helped us stick to our schedule, they took care of sooo much behind the scenes and they ran the show at the rehearsal and the wedding. I found Keestone through reviews on the knot and I seriously can’t tell you how glad I am that I did!! Sarah and her team are AMAZING! Sarah was one of 3 wedding planners I interviewed. My husband and myself chose Keestone’s full planning services. I spent about 1 year planning for my wedding with Sarah. There are several things I valued from Sarah and her team. Organization: From my initial meeting with her I could tell she was extremely organized and on task. She answers every email, phone call, text in a very timely manner within usually a few hours. She impressed my entire wedding party with her detailed schedule of the entire wedding weekend. Sometimes I procrastinated and she sent friendly reminders of my tasks and decisions I needed to make. She was able to round up my guests and family members to make things run on schedule. Availability: She makes herself available to you and it seem like she is your only client. It made us as a couple feel special that she takes care of us so well. Attention to details: She has an eye for detail. At random times she sees and finds better ideas for planning and decoration. I was truly impressed when we met our Hotel event manager and she was able to describe the number of tables, size of tables, table cloth sizes to the hotel team. She made a list of our needs to hotel for the wedding ceremony and reception and it went flawlessly. Half the battle I felt in planning a wedding was understanding what materials and supplies are needed. Sarah was very professional in this manner she understood what I wanted and was able to convey that to other vendors. She was invaluable in us providing us ways to save our money on low priority areas of the wedding: i.e. menus and program cards. She followed up on reducing our linen count when our guest count was reduced due to cancellations. This allowed us to reduce our overall linen bill. She took care of some mishaps prior to the ceremony with finesse and I only found out later after the wedding. Overall my husband and both our families were highly impressed with Keestone Events and Sarah. I am so glad we chose her. She is worth every penny. 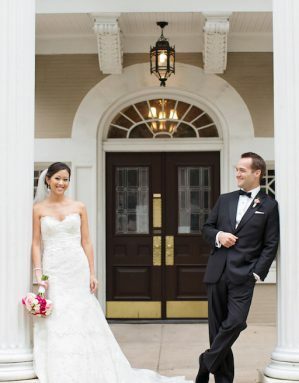 Stephanie Brouillette with Keestone Events was the smartest wedding decision we made. I am the Mother-of-the-Bride and because I had some experience with event planning, we only needed a “month of” planner to make sure our very detailed plans were carried out. My very first phone conversation with Sarah confirmed that this was a company owner that knew what she was talking about and had the ability to listen and respond to specific needs. I love that Sarah has put together what seems to be a unique pricing method that is flexible enough to be tailored to exact needs. There is never the feeling of paying for unneeded services. At our initial meeting, Stephanie was very generous with her time and showed she had extensive experience and a perfect grasp of what would be needed to make our vision come to life. Throughout our planning process, if we needed help or input, it was very easy to expand our “month of” scope to include that immediate need. The week before our function, it was great to have her there for our “walk throughs” and know that she would be reaching out to all the vendors to confirm our plans. Also, she had some wonderful input to expand upon the set-up for a special surprise at the reception, and she had the resources of Keestone to make her ideas happen. On the “day-of”, Stephanie and her team were efficient, calm, helpful, cheerful and communicative. They set-up everything perfectly and packed up at the end, forgetting nothing! I was able to totally enjoy my daughter, our friends and family and the entire celebration without a worry. I was a guest at our own event! It could not have been a better experience from start to finish! I just wanted to take a few minutes and try to convey the unbelievably amazing job that Sarah did. 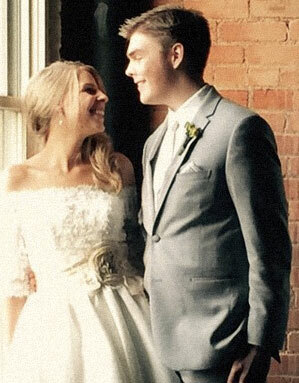 I don’t have the time, or words to truly describe how hard she worked to make this very special day perfect. She was so organized, detailed, professional, and punctual. She was so attentive throughout the whole wedding process, and also helped my husband, and his groomsmen stay on schedule. All I can say is that you did an amazing job, and I hope that more couples in the Dallas area, and country realize how talented you are. Thank you so much for everything, and I am so happy we met you!!! 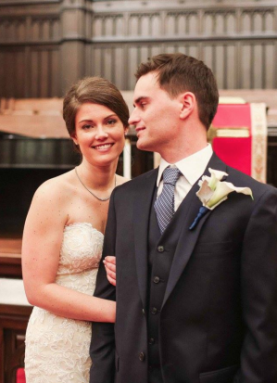 Under Stephanie Brouillette’s management, our wedding was flawless! 30 minutes before the ceremony we had a very unexpected glitch; Stephanie took care of it immediately so that the show could go on. 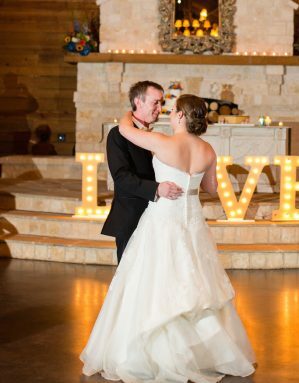 Our wedding day was logistically complex (involving two venues and over a dozen vendors), and Stephanie managed it all beautifully with poise and efficiency. She is a joy to work with, professional, pleasant, super organized, and calm under pressure. I couldn’t be more happy with the services Keestone Events provided. Tzahhia was incredible and was there to support me throughout the entire process! She was so organized and had wonderful suggestions! 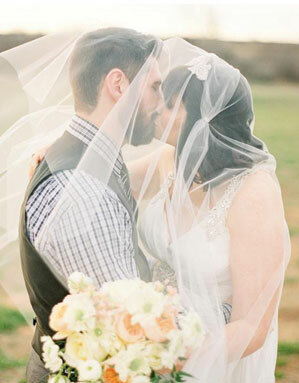 She became a friend throughout this process in addition to just a wedding planner! Don’t look anywhere else! Keestone Events is nothing short of amazing! Stephanie at Keestone Events was our planner extraordinaire. She was hyper-organized, resourceful, level-headed and consistently surpassed our expectations in every way. As an out-of-state bride, we appreciated Keestone’s willingness to design a custom planning package for us that met our needs. We were most keenly focused on hands-on support in the 6 weeks before the wedding and on the wedding day. We selected Keestone in large part because of their flexibility and commitment to customer-service. Stephanie’s professionalism, passion for her craft and responsiveness won us over. It was clear from the start that Stephanie was incredibly experienced, exceptionally well-organized, totally service-oriented and a skilled problem-solver! These were all vital attributes as we planned everything remotely and didn’t meet in person until the week of the wedding. As the date approached Stephanie provided vital hands-on support and put together a comprehensive plan and tracked every item leading up to our big day so that nothing slipped through the cracks. She stuffed and delivered beautiful goodie bags, coordinated delivery logistics effortlessly with all our vendors, masterfully ran a ceremony rehearsal with a novice officiant (our friend was ordained for the occasion) as well as participants under 7 and over 80 and was prepared with every emergency supply you could ever need. 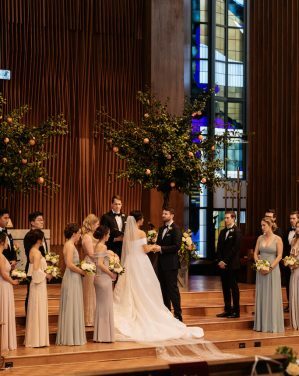 Notably, as we had a small wedding party, Keestone also provided several additional on-site assistants to help Stephanie with set-up and execution on the big day. Stephanie managed this team with her usual combination of grace, calm, and efficiency. 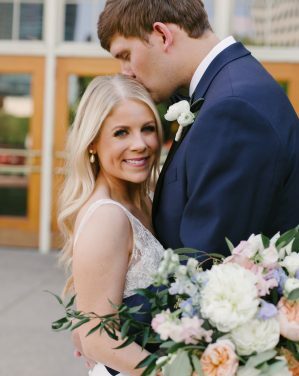 We are so grateful to Stephanie for making our day run so smoothly — and we would recommend both Stephanie and Keestone Events without hesitation. We are so thankful we hired Sarah to help us plan our wedding! When I first started the wedding planning process, I thought I could do everything on my own without a wedding planner. About 6 months into the process, I realized I was in over my head and felt very overwhelmed, so I reached out to Sarah. The flexibility of her packages and being able to add the services you need and subtract what you don’t need was perfect for me since I had already booked many of the major vendors for the wedding. One of the most stressful things for me about the wedding planning process was the feeling of never knowing if I was forgetting to do something, and always feeling like I was behind schedule on booking vendors. Sarah took all that anxiety and worry away. I always felt at ease knowing that she was there overseeing the whole process, and that she wouldn’t let anything slip between the cracks. She always reassured me that I was on the right track and made sure everything was coming together according to the timeline she set up at the beginning. I reached out to her with random questions many times in-between our scheduled meetings and she always replied promptly and was happy to help me with my questions. Another thing I found extremely helpful was that she would be the contact for my vendors and answer their questions for me. This helped me save SO much time as I was very busy with work and I was having a hard time keeping up with all the emails from vendors. On my wedding day, I didn’t have to worry about anything and neither did my bridesmaids or my mother. We were all able to just relax and enjoy the day, Sarah took care of everything! There were a few issues with my dress bustle at a couple of points during the day that seemed time consuming (a couple of the threads had ripped off and had to be sewn back on), and she could tell I was stressing out a little about it, so she made sure to ease my mind by telling me we had plenty of extra time in the schedule to account for these kinds of things. She also brought my husband and me drinks while we were taking photos during cocktail hour so we wouldn’t have to miss out. Everything from start to finish went so smoothly, and we were so grateful to have her there to make our vision come to life! Sarah at Keestone did an absolutely masterful job of helping us plan and coordinate our wedding. I expected great things and my expectations were even surpassed! Everything went smoothly and I expect people to be talking about our wedding for many years to come. We even had guests tell us that our wedding is exactly what they want theirs to be like. I would recommend Sarah to anyone and everyone – it is totally worth every penny to have someone so knowledgeable and calm to help us through the process. She’s a blessing to us. That’s what she is! 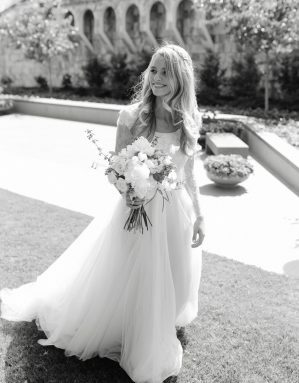 Sarah is my husband’s friend from college and the first time he mentioned about Sarah, I immediately checked her wedding website and from then I knew straight away that I wanted her to be my wedding organizer. Loved and followed her work. Funny part is that I waited 3yrs for the proposal before I even told Alvin how much I wanted Sarah to organize the whole wedding. Bride and groom that lives in Dubai, wants to have a wedding in Bali and wedding planner is from Texas! Great plan! ☺ Looking back 2 months after the wedding, I wouldn’t change anything. I get excited with the thoughts of that day. The sun and the rain, families and friends coming altogether, all the vendors who were involved and how everything fell into place. 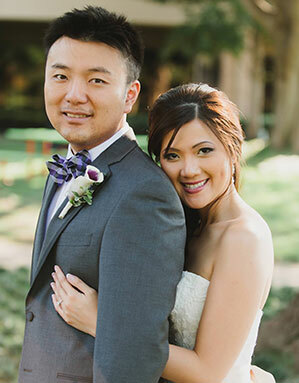 All the aspects of the wedding was carefully chosen and planned with so much excitement. Everyone was amazed! Planning the whole thing was a breeze, fun and stress free! All because of amazing Sarah. She has this planning pod that tracks all the bits and pieces of the wedding. I used this mainly for the budget. Although we were over budget, it was nice to know where the money is going. So helpful! To some, weather would have been an issue because it rained at some points of the wedding day. But for us, it was perfect! That day was perfect.. Every little decision we made, we had Sarah’s advice and insight. And we will forever be grateful. Sarah, you know we love you! Missing our meetings and chats.. Thank you so much and hope to see you soon.. The event planners at Keestone Events are nothing less than AMAZING! About halfway through our wedding planning I decided that I needed help. Once securing vendors and trying to coordinate delivery schedules and times for the wedding day, I realized these were the last things I wanted to be thinking about/handling on the day of my wedding! I wanted to have fun and remember this as a happy one! I hired Keestone Events to assist with the overall wedding design and month-of-coordination. From the moment I met Sarah & Stephanie, I knew this was the best decision, the right one. 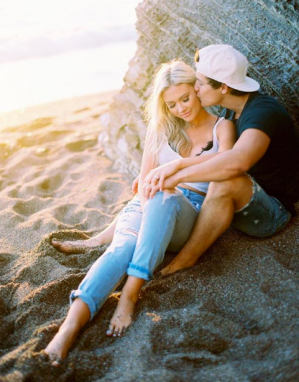 These ladies captured every important aspect we envisioned for our wedding day, and surprising us with even more! Their suggestions and ideas were endless, making use of natural elements from our reception venue to creative, fun ideas for the guests. It was great knowing they were looking at ways to make your day exceptional, yet budget-friendly. Our wedding day was a hit! I cannot say more wonderful things about the ladies at Keestone Events. A special thank you to Sarah & Stephanie for taking our visions and making them a reality. To Stephanie, Jordan and Tzahhia: Thank You for making our wedding day so special, memorable and a success!! Sarah and Keestone Events is absolutely amazing! I don’t even know where to begin! 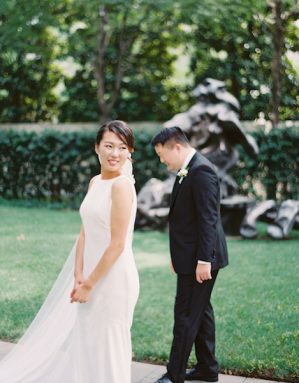 Sarah was recommended to us by our venue, Nasher Sculpture Center and she was the perfect match. From the moment we met, I could tell she’s very experienced, understood our needs, and was willing to support us in whatever way we needed. Throughout the entire planning process, Sarah was always one step ahead and helped me prioritize and make decisions. Every time we met over the phone or in-person, she checked on how I was doing with all the wedding prep and asked if there was anything she could take off my hands! She was generous with her time and always prompt in her communications (both by email and phone). Sarah’s vendor recommendations were also FANTASTIC!!! 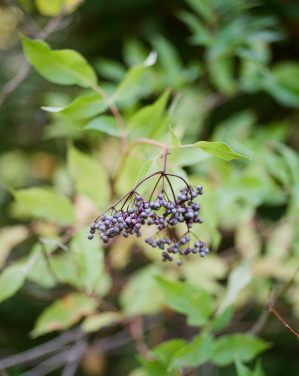 It was so great to know that all our vendors had worked together previously and Sarah orchestrated every detail perfectly. The day before and day-of the wedding, I was able to enjoy every moment without any stress or angst. Sarah and her team took care of all the details. I was so carefree and didn’t have to worry about a thing the entire day! She even had our cell phones and personal belongings all packed up in the get away car for us at the end of the night. It was simply amazing to be in such good hands. I HIGHLY recommend Sarah and Keestone Events! 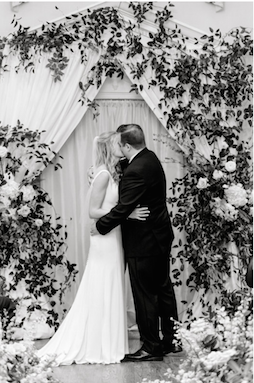 Our wedding exceeded our wildest dreams and that is in no small part due to the role that Sarah and her team played in the planning process as well as the day-of execution of our event. Every single detail was handled efficiently, gracefully, and professionally by Sarah or a member of her team. If there were any problems or hiccups, I remain blissfully unaware of them to this day! At the event and in the days and weeks since, friends and family have commented on how elegant and organized our wedding was—it was very clear, not only to us as the clients, but also to our guests that this was the work of a professional. As someone who works as a project manager in a different industry, I have very specific ideas about how I like things done and often prefer to handle large and important tasks personally to ensure that they’ve been handled to my exact specifications. Sarah and her team earned my trust via their peerless level of service throughout all facets of the wedding planning process. Sarah was very prompt in answering correspondence, and when she said she would do something it was as good as already done. Sarah assisted me in finding vendors when I was stumped, and the quality of the vendors she suggested was very high across the board. Every single vendor I sourced via Sarah was professional, prompt, and courteous. 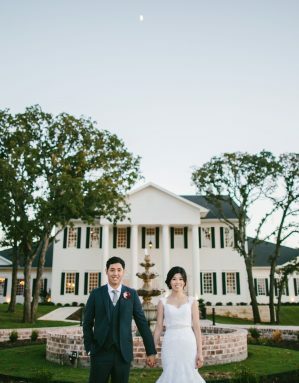 Even though I was a month-of client, Sarah was very flexible with her time and worked with me and my fiancé to accommodate our schedules as we live outside of the DFW area and were unable to make many trips to Dallas during the planning process. Our final walkthrough, which usually takes place the month-of was scheduled for several months out in order to accommodate when my fiancé and I were able to be present. Sarah and her team were gracious and professional at every turn and at no point did I, nor anyone else involved in my wedding on a personal level, need to worry about any detail. I recommend Sarah and her team without reservation and would eagerly work with them again, but as they say, you only get married once! Within 3 minutes of sitting down with Sarah Kee, I knew we would be hiring her as our wedding planner. We had looked at over 75 different planners online (!) and met several in person, but no one felt like the right fit. Rather than asking “what do you want for your wedding?” which can be difficult to answer, Sarah met us with a smile and came prepared with a very specific (yet not overwhelming) questionnaire that not only gave her a sense of what we wanted for our big day, but also proved that she wanted to get to know us as people. She showed us real examples of her work for couples with similar budgets and size restrictions. We even came up with a design, color scheme, and theme at that very first meeting! We also appreciated that she showed us her wedding planning portal, which she sets up for all couples to track budget, guest lists, checklists, design elements, and more…all this before even booking her as our planner. Laying out her services right off the bat without any strings attached definitely set Sarah apart from her competition. We booked Sarah for both wedding planning and design for the entirety of our 14 month engagement. Within a week we were already attending meetings with vendors. We really appreciated how Sarah helped us prioritize our budget and narrowed down the hundreds of options for vendors so that we could focus on a more manageable list for each category. If for some reason we didn’t find what we wanted in that short list, she had no problem finding more for us until we landed with someone we loved. Sarah showed up to every single vendor meeting we went to, regardless of the day or time, fielding questions, communicating our vision, and taking detailed notes. It really helped make us very comfortable when choosing the players for our wedding. Part of our package included unlimited communication…and we used it! I’m sure I averaged 1-2 emails a day (and many more toward the end) and Sarah answered each email diligently, never making us wait more than an hour or two. We had weekly phone meetings to keep tabs on action items. Even as we neared the wedding and I was not the nicest person, Sarah remained calm and patient and ensured everything I needed was handled. She never once treated us with anything but professionalism and respect. Sarah became a real friend and made sure we knew how much she cared about making our day special. Our wedding went off without a hitch. There are always things that go wrong, but Sarah and 2 others from her team spent over 12 hours on our wedding day running around to make sure everything was the best it could be. Sarah created very detailed timelines for our wedding party and vendors that made sure even our flakiest friends were on time. We ran ahead of schedule ALL DAY! No one came to me with any issues…it was all handled before I had a chance to notice. Even better, none of my family had to deal with setup, cleanup, moving items between venues, or managing vendors. We could not have pulled off the wedding we had without Sarah. She made the whole planning process so incredibly easy and allowed our families the luxury of sitting back and enjoying the weekend. While I’m so happy to be married, I can honestly say I miss my Friday afternoon chats with Sarah. I would absolutely recommend Keestone Events for any bride. We were so lucky to have met Sarah and we can’t wait to see the beautiful events her team produces in the future. I seeked out for help from the very beginning of my wedding planning. I read reviews after reviews and contacted a few wedding planners. I was even going to sign with another planner until I met Sarah! She was so well-organized and reassuring (which is what I needed at the time) that I changed my mind and decided to go with her! 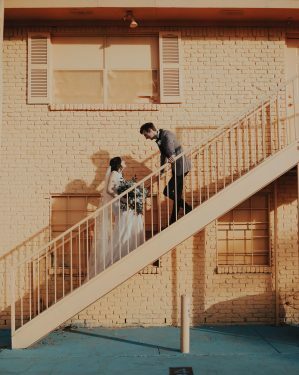 She was crucial in finding my venue and from there she helped me find every single vendor that was in my budget but still within lines of what I was envisioning. She helped me save money here and there and had it not been for her, I would have spent an exponentially higher amount of money for the same quality and experience I got from the vendors she had recommended. She sets up meeting in a timely matter and whenever I had panic attacks of things not working out, or other things not fitting into my budget, she would be quick to return calls or respond to my emails. That aspect of her service really helped me keep a peace of mind during my planning. On the day of, she made sure she had enough helpers to help things to smoothly and I did not have to worry about A SINGLE THING! It was truly wonderful to know that there was someone who knew all the little quirks of my wedding details and had a timeline of how we wanted things to go. On my wedding day, all I had to do was get ready, walk down the aisle, and have fun! I didn’t even need to have any of my friends or bridesmaids help set up or take away from their enjoyment of the occasion. I don’t know what I would have done without Sarah, except not have a wedding. Truly a god-send that she was my wedding planner. I would recommend her to anyone! Sarah did a great job with our wedding! She always replied to emails promptly and most of the time I was able to reach her when I called. If not, she would call me back right away. She helped in the beginning with providing lots of suggestions for vendors and helping me make decisions when I was indecisive. As it got closer to the wedding, we set up phone calls every 2 weeks to make sure we covered all the little details. She made a detailed timeline for the day of the wedding and distributed it to all the vendors and wedding party. She brought along 2 assistants for the day of the wedding, and I’m so glad her and her team were there. They made sure all the vendors were there, that everything was set up correctly, and that we kept to our schedule. I think something happened with our cake not showing up on time, but she handled everything behind the scenes so I wouldn’t have to worry. When it was time to start the ceremony, the cake was right there in place. I know our wedding wouldn’t have run as smoothly as it did if we didn’t hire Sarah! It was so nice to just enjoy our wedding without having to worry about all the vendors and the little details. Finally, I thought her pricing was very reasonable, and her service was comparable to what I would have gotten paying a ton more. We had an awesome wedding and would definitely recommend Sarah and her team to any future brides and grooms! Sarah is incredible! 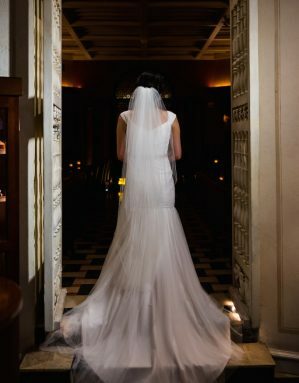 She is very professional, experienced, kind, and completely committed to making your wedding dreams come true! My wedding day was seamless thanks to Sarah. She kept things on schedule and handled the mess of coordinating and confirming with all of the vendors. She was a delight to work with and a great wedding planner! WOW! Sarah and her team were nothing short of amazing. I did plan most my wedding myself and used Sarah as a coordinator and she flawlessly executed everything that I wanted! I could not even begin to imagine how my day would have gone without her. Sarah also gave me wonderful ideas throughout the planning process, and several of the ideas that she gave us ended up playing huge roles in how much fun our wedding was! Sarah is very organized and professional. Sarah contacted all of my vendors before the wedding and provided them with all the information they needed, even my vendors told me how wonderful she was! She kept the night so organized and that allowed me to just have fun and enjoy my wedding day, she would just find me, tell me where to be and when, and kept the day and night going. As with every wedding, there were a few minor things that happened but thanks to Sarah, I seriously did not even notice until I found out about them after the wedding. I could not imagine my wedding without Sarah’s help. She was worth every penny!!!! If I could give Sarah more than 5 stars I would. Thank you Sarah for helping me have the wedding of my dreams!! 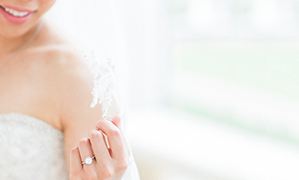 Sarah was amazing to work with and incredibly helpful throughout the entire planning process (approx. 12 months). She always made herself available. We had check-in phone calls, she provided vendor recommendations, guidance on ideas and how to make them a reality, calmed me down/handled a situation when something wasn’t going as planned, etc. Pinterest is great, but you can’t do everything you “pin”, so I’d bring my ideas to her, and she would work through them with me so I could have my DREAM wedding…and on June 13th, I had my absolute DREAM wedding. It was better than I could have ever imagined. We had our ceremony and reception at separate locations, and she coordinated the vendors, setup everything at the reception, and handled the rain without a hiccup when some of our activities were outdoors. I would recommend her over and over again. I was so lucky to find Keestone Events on Facebook. I sent an email to Keestone Events, and Sarah, the owner of Keestone events, contacted me via email immediately. I then spoke to Sarah over the phone and I knew that she would be the perfect person to plan our wedding. 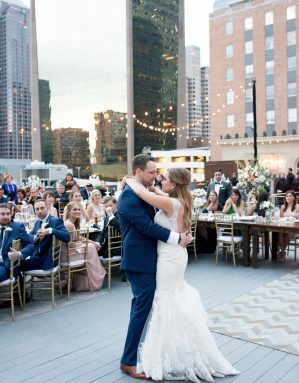 My husband I live in El paso, Keestone Events is based in Dallas, and the wedding was to be held in Houston…one would think that this would be an issue; however, Sarah made it so easy. She was so understanding and easy to work with! 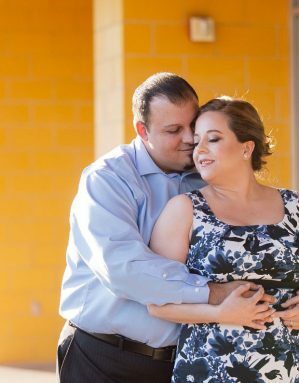 Planning a wedding to be held in Houston while living in El Paso was easy because I had Sarah and Keestone Events. Not only did Sarah do an amazing job throughout the wedding planning process, but she did an amazing job on the wedding day as well. Her assistants were also wonderful! 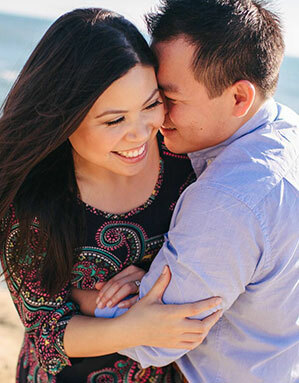 I am so happy that I chose Keestone Events to plan our wedding. I know my new husband, and our families are happy as well! I highly recommend Keestone Events. Sarah & her team were AMAZING!!!! The second I met Sarah, I knew she was the one to make our wedding gorgeous so I booked her on the spot! 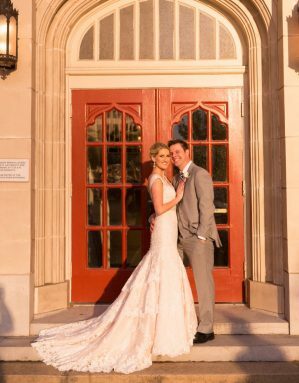 I was right… she did make our wedding gorgeous and a night to remember! I had ZERO issues with Sarah or her team! Sarah is super easy to reach, comes with brilliant ideas, is budget conscious, and overall is just SUPER AMAZING at what she does! I booked her a year in advance, and she was right by my side throughout everything! I am so so so happy I hired her as a wedding planner! We couldn’t have pulled this together without her! Sarah, you are talented at what you do! Thank you for EVERYTHING! 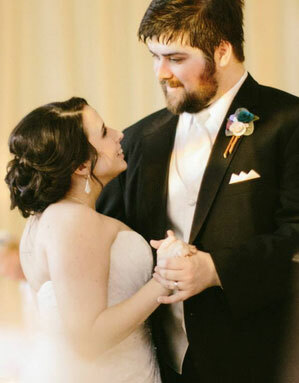 Our wedding was perfect!!!! 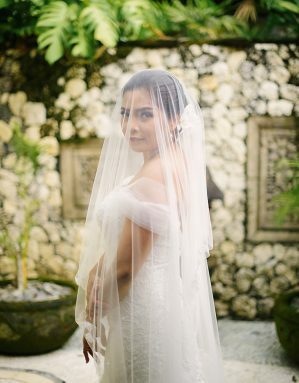 Brides, do not hesitate to book Sarah as your planner! You will want her on your side, helping you make decisions because after awhile, it will become daunting. Sarah helps steer you through everything, which is so important! You cannot put a price on your sanity 🙂 Trust me, you will NOT regret booking her! I was the groom in an event that Sarah helped plan and execute, flawlessly. I must admit at first I was very skeptical if we would even need her services or if they would be worth the money. but even before the big day she won me over with her professionalism, attention to detail, and competence in the planning of our wedding. I have a back ground in the military so planning and attention to detail is critical to a solid execution of a plan. Guys your focus should be on your bride. you do not want your bride to be worrying bout all the details and stuff that will pop up, and it will. let Sarah handle the details so you can focus on what is important . she knows what to expect the questions to ask and more importantly when to ask them. she coordinates with all the other vendors to keep everyone working toward your goal. yes i know you ask that family member or close friend to do it and they might even have the experience but if you trust them and depend on them you probably want them to be able to enjoy the day too. if they do not have experience do not test your relationship on this occasion, very little can work in your favor while a lot can work against you. You have already made one of the biggest choices in your life to get married. now make one of the best choices and hire Sarah so you and yours can relax and focus on what is important. you will not be disappointed her or her efforts. Sarah Kee coordinated our daughter’s recent wedding. Her efforts were especially complicated as my daughter, the bride, was in college out of state during the entire wedding planning process. Sarah was professional, yet kind. Sarah and her staff went above the call of duty to make the wedding completely stress free for the bride and her entire family. Sarah’s calm demeanor was most helpful when assisting me, the mother of the bride, with a few last minute vendor problems and my stress and disappointment associated with these problems. She rectified problems quickly and to the best of her ability. The wedding included 300 guests and numerous vendors. Sarah and her staff masterfully orchestrated the entire event and assured that guests enjoyed themselves. Without hesitation, I wholeheartedly recommend Sarah Kee and her staff. Weddings by nature are stressful and Sarah’s ability to stay calm despite anxious parents, multiple vendors, and last minute adjustments was incredible. Sarah and her team made a great event into a great day. Stayed on top of everything and kept us on track. She was courteous, efficient and patient. We even got compliments from other vendors about her. Highly recommended. I cannot say enough good things about Sarah and Keestone Events. Sarah has been completely honest with us (which I wanted) since the beginning to the end. When we first told her our budget, she told us in all honesty that it might be a little over our budget (which I had expected anyways). It was really great of her to be honest up front because for me, I would rather be told up front instead of getting a shock at the end. And being on a budget, she always gave us cheaper options that would still work with our wedding. She definitely helped us stay around our budget and we cannot thank her enough for that. We also wanted a wedding planner because of how busy my wife’s work schedule is. Having someone like Sarah helping us with our wedding was so helpful and really helped us stay sane throughout the process. Sarah basically took care of everything. She would pick out options and all we would really need to do is to just choose out of the options she gave us. She is also very good at responding to emails/texts and she never gave the impression that we were bothering her (even if was later in the night). No matter the time, Sarah would always answer and respond to any questions we had. Sarah does everything well. There is nothing she can’t do. We went with Keestone Events for florals and stationery. I think they just started doing their own florals and stationery but we took a chance with them because we trust Sarah and believe in her abilities and creativity. We couldn’t be happier as both the florals and stationery looked amazing and we were so happy we went with them. We also worked with 2 other planners at Keestone Events (Jordan and Tzahhia). And they were both amazing in their own rights. Both Jordan and Tzahhia were so helpful during the rehearsal and the day of the wedding. In the end, I would highly recommend Sarah for wedding planning. Without her, our wedding would not have turned out as amazing as it did. I am so grateful for Sarah and Keestone Events! My mom and I tried to tackle wedding planning on our own but we found out very quickly that we did not have the same vision for my wedding. My mom heard about Sarah from a friend and her daughter so we decided to call Sarah and set up a meeting. From the very moment I met Sarah, I knew we were in very good hands. Sarah is so positive, sweet, and upbeat. She had personal recommendations for every vendor we needed to make our wedding dream come to life-this alone was a huge lifesaver because my mother and I had no idea who to call/hire for my wedding. On top of that, Sarah suggested that we think about changing photographers-something I never would have dreamed of doing. I cannot express how happy I am that Sarah suggested this-if we would have stayed with our original photographer, our wedding pictures would have been a huge disappointment. Sarah was always available by e-mail, phone, and even text. Sarah handled any bump in the road (including disagreements between me and my mother) with such grace and finesse. She truly is an all around professional and I would recommend her to ANYONE that asked me who I used for my wedding. She is fabulous and our wedding turned out better than I could have imagined. Sarah was incredibly organized and was on top of keeping the lines of communication open between me and all of the vendors. She even typed up a minute to minute schedule and made sure that we actually followed the schedule! 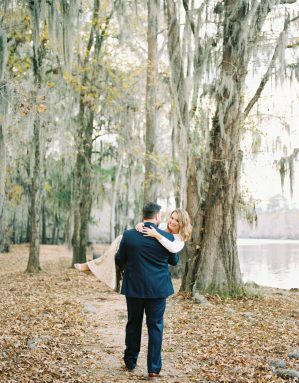 If you are thinking that you might need anything from a little help with finding vendors all the way to complete and full wedding planning, Sarah and Keestone Events is, hands down, the way to go. I feel like I cannot say enough good things about this company or Sarah! Sarah was incredible. She was the first wedding coordinator we contacted and I could tell after that first phone call that she had her act together–the most important quality for a wedding coordinator! We used her for month-of services but she went above and beyond to be present for our walkthrough with the venue and catering reps to ensure everything was complete. Inevitably, we had some last second needs (like a calligrapher) and she was able to secure us someone who could turn around our task quickly! And let me tell you about the rehearsal and day of ceremony! She was invaluable. Her staff that accompanied her on the big day also held Sarah’s high bar for organization. I would highly recommend Keestone Events. Our wedding was a roaring success and unforgettable largely due to her organization and execution. Many thanks! I’m even considering using her to throw a surprise party in the future! Sarah and her team were extremely talented, creative, helpful, and best of all accommodating. We reside in California but our wedding was in Dallas. I am a planner myself; however, long distance planning was pretty difficult and especially when we were both busy with work and traveling. So, we decided to book with Keestone Events for our month of coordination. I have to admit, it was soo worth it! Sarah responded to each email and each phone call PROMPTLY. She provided some great suggestions which made things easier for us to decide (trust me, I was an indecisive bride). Sarah diligently kept me on schedule up until my wedding day. 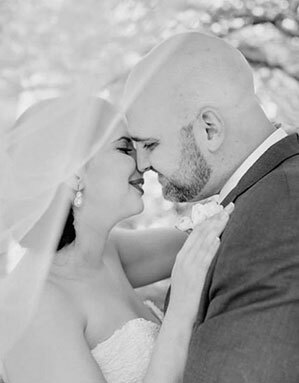 Our wedding day was simply perfect! Sarah and her team did such an amazing job from coordinating with all the vendors, setting up the guestbook table, decorating our wedding cake with flowers that my florist left behind, and making sure everything ran smoothly. I would truly recommend Keestone Events to any of my friends and to all the future brides. I am absolutely delighted with the service that Sarah Kee provided my family. Sarah was supportive, detailed, and impeccably organized. The response time to emails and phone calls was almost immediate. 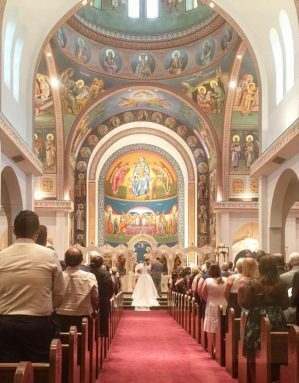 I felt very confident that my daughters wedding would be beautiful and flow from beginning to end without a hitch …and it did. You know you have a great wedding planner when the other vendors at the wedding compliment your choice of wedding planners…and they did. Sarah is a professional with the skills & integrity that one would expect to find in a much older individual. 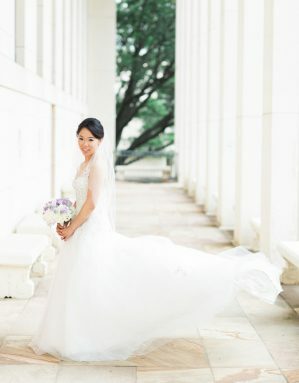 You cannot go wrong choosing Sarah Kee as your wedding planner! 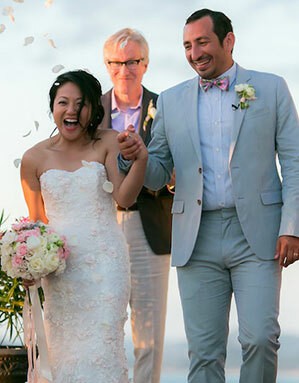 As a type-a control freak with a tight budget (the cost included honeymoon, accommodations for my officiant and family, flights for destination wedding) I was hesitant to hire a wedding planner – mostly because I was not sure it was worth the investment, but Sarah Kee with Keestone Events proved me 100% (happily) wrong. Sarah worked with my budget, tight schedule, offered me options when I was indecisive, and most importantly, she helped me plan the wedding of my dreams. 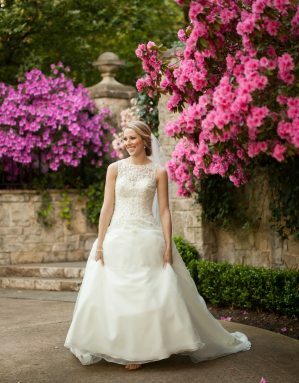 I hate to use the word “perfect” because it is so clichéd – but it was absolutely perfect – more than what I ever dreamed of and the best part was that it was low-stress for me: she dealt with all the vendors in Mexico, she kept us on schedule, she made my appointments for hair/makeup for bridals, found vendors, everything. Sarah was prompt, professional, responsive, flexible, and precise. On top of that, she was creative and held me to my vision, when sometimes I’d make a decision just to make one. I am so glad that I hired Sarah, and I’d recommend. I hired Sarah and her team at Keestone Events for wedding planning, wedding flowers, and day-of event management. Sarah exceeded my expectations in every way. She did am amazing job with her attention to detail, professionalism, guidance, expertise, and execution. Specifically, Sarah helped me to plan the wedding within the budget I designed at a quality I would have never been able to achieve had I planned the wedding by myself. 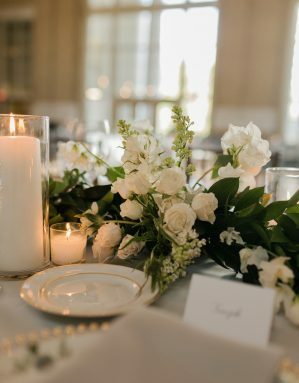 Sarah has many vendor connections and great ideas to fit any bride’s budget and achieve the theme and look you are after! I would have never been able to pull off such a beautiful, classy, and fun wedding without Sarah. She also helped me to ensure vendors were lined up in a timely fashion so I could have the very best team in place for my wedding. The flowers were absolutely gorgeous. 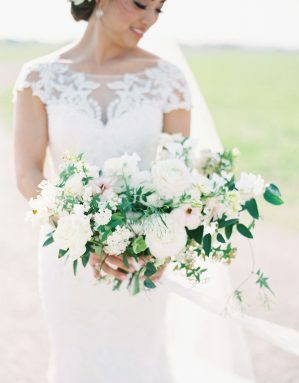 Sarah picked out the very best flowers she could find to make beautiful bouquets, corsages, boutonnieres, and centerpieces for the wedding that really matched the theme and went with everything perfectly. The value was also amazing, and it was much less stressful for me to work with Sarah on the flowers versus working with other floral vendors. For the day-of event management, Sarah and her team went above and beyond to take all of the planning we had done and execute it. I gave over the reigns to her, and because we had worked on everything together, she had no problem ensuring everything was laid out according to the plans that were made. She is dependable and trustworthy, and I was completely comfortable handing things over to her. This allowed me, my husband, and my family to really enjoy the wedding, and we did. Sarah made that happen for us. I could not be more grateful to her. She also knows how to roll with any last minute changes. We had a groomsman drop out the day before the wedding, and then show up last minute right before the ceremony. Sarah took care of it, and no one was the wiser, including me!!! 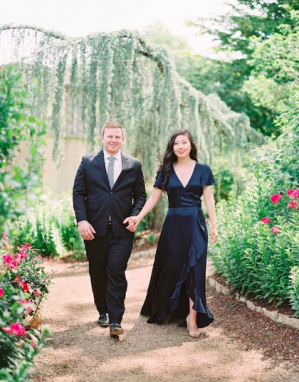 There are not a lot of people in the world you can trust to take care of something as important as your wedding, but Sarah Kee at Keestone events is one of those people. Hire her-you won’t regret it! Sarah was absolutely wonderful to work with. Professional and courteous throughout, she initiated multiple planning meetings and always came prepared with materials and fresh ideas. Sarah guided us through the many facets that go into planning a wedding and helped us make sense of the otherwise overwhelming number of possibilities. 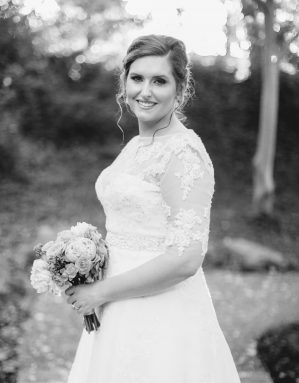 Although it is her goal to make your dream wedding a reality, Sarah is not a “yes man.” She is an experienced professional, and she is always ready to offer her advice and guidance when it comes to design, logistics, and overall practicality. Sarah offers a wide range services, from minimal assistance to the full service package. Since we are both busy professionals, we chose the full service package, and we’re extremely glad we did. Sarah saved us tons of time and frustration by scouring the Internet for the best possible vendors, leaving us to pick from the three or four best options. She’s willing to assist with the nitty gritty manual labor to whatever degree you desire. And, most importantly for us, she’s willing to travel. 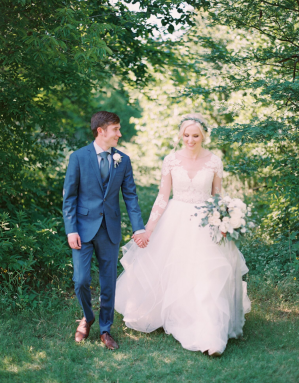 Our wedding was four hours away from Keestone Events, but Sarah made several trips with us to the venue during the months prior to the wedding. On the day of, Sarah proved absolutely vital, as she worked with the venue’s wedding coordinator to make sure all the moving parts were in their correct place. The wedding went fantastic. We received so many compliments on how beautiful it was, and we couldn’t have done it without Keestone Events. 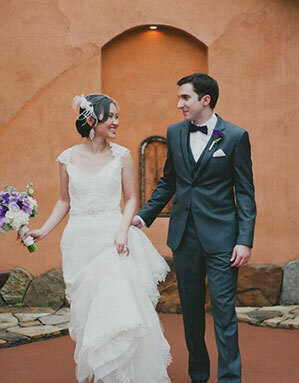 We’re so glad we hired Sarah, and we’re happy to recommend her services for both weddings and general event planning. We hired Sarah and her team for day-of coordination and some extra help the 6 months before the wedding with vendor recommendations and as a general sounding board for ideas/questions. In the time leading up to the wedding, Sarah kept me on track with the planning (reminding me of the all the things I needed to get done), fielded my calls when I felt like I was stressing out, recommended some fantastic vendors, and was just a fun person to work with. The day of the wedding, she and her team handled every little issue that came up, some that I didn’t even know about (thankfully). Whether it was driving to find a keg tap, scrubbing my dress train with shout wipes, trying to fix my faulty bustle, finding my bouquet at 2am when I realized I didn’t have it and panicked, or one of many, many other things, they were a great team, and I’d recommend them to anyone! Keestone Events took the very scatterbrained vision I had for our wedding and created the most magical night ever! The entire year of planning they were a dream to work with and on the actual day of the wedding everything ran so smoothly and perfectly. We truly could not have had the wedding we wanted without them and we would highly recommend them to anyone! 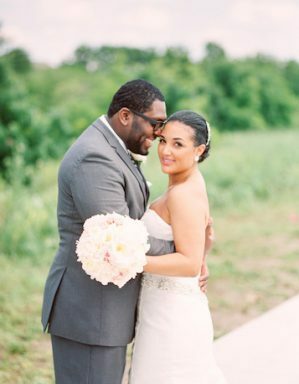 Sarah is everything and more you could ever want in a wedding planner! I met with a couple of other wedding planners before meeting Sarah and she made the decision effortless. I could not have imagined getting through the process of planning my wedding without her. We utilized her partial planning services as well as a few a la carte services. Throughout everything Sarah was only a phone call away if I ever needed a second opinion. She was always there to steer us in the right direction and to keep us calm when things seemed to be overwhelming. Her organization skills are wonderful and she does a great job at keeping things on track. We loved having Sarah with us at vendor meetings, she was essentially the one who would communicate for us, allowing me to relax! Sarah did more then I could have ever asked of her. On the night prior to our big day, I was unhappy with some of the decor in my reception area and Sarah was able to take care of that for me. She immediately started making phone calls to the vendor to resolve this issue for me. I was confident in her and knew that she would be able to deliver exactly what I originally wanted. I could not have imagined getting through that obstacle without her! On the day of wedding, she worked with the venue coordinators and the vendors to ensure everything was being delivered accordingly and that things were moving at a timely manor. She even helped to bustle my dress and make sure that I had a drink in hand! Sarah is truly the best at what she does and its clear to see she loves her job! Sarah and Natalie at Keestone Events made our wedding day stress free! We hired them as a Month of Coordinator to help with the smaller details, vendor coordination, and day of timeline. Natalie surpassed all of my expectations. She ensured that our vendors and all of the wedding party stayed on schedule. Our wedding would not have been as amazing as it was without her. Thank you, Natalie! Sarah did an amazing job planning our wedding! We are not advance planners and I had almost zero vision of what I wanted our wedding to look like when we hired her. She did a really good job of asking the right questions and got me to give both her and myself an idea of what I was looking for, and the final result was PERFECT. I could never have done this on my own. Sarah was on top of everything with the vendors, and helped coordinate between them and my mother who lives on the other side of the country. I had been extremely busy with work and took forever to respond to her emails but she was so patient and everything got done with plenty of time left. The day of went smoothly and was a blast – my husband already asked if we could get married again 🙂 and we had multiple discussions after the fact about how great Sarah was! Keestone Events was such a wonderful group to work with during one of the most important days of my life. We had the pleasure of having Tzahhia lead our wedding planning, and she was nothing short of excellent. We did the 3 months out plan, and I can’t begin to tell you how much stress was relieved thanks to Tzahhia. I do have to apologize that we constantly were changing things up, and even on our wedding day, we had some last minute changes to our timeline, but Tzahhia was very accommodating and on top of things. She also does some amazing calligraphy work on the side. So amazing that we had to hire her to make our seating chart, which she made by hand, and also our menus. Both were works of art. One thing I would really like to mention is about the end of our reception. Some of my husband’s family members were supposed to stay behind and pack the wedding items (such as the linens that we rented) into their van, but I guess it slipped their mind. Tzahhia and her team stayed behind and helped pack up everything and tried to get as much items as possible into my car. For the items that wouldn’t fit, Tzahhia personally delivered them to our hotel bellhop to hold in the luggage storage room. This really spoke to me about how much she cared about us and our wedding day, even when the night was already over. Thank you Keestone Events for helping us through such a crazy day/night! We are honored to have been featured in the websites and publications.